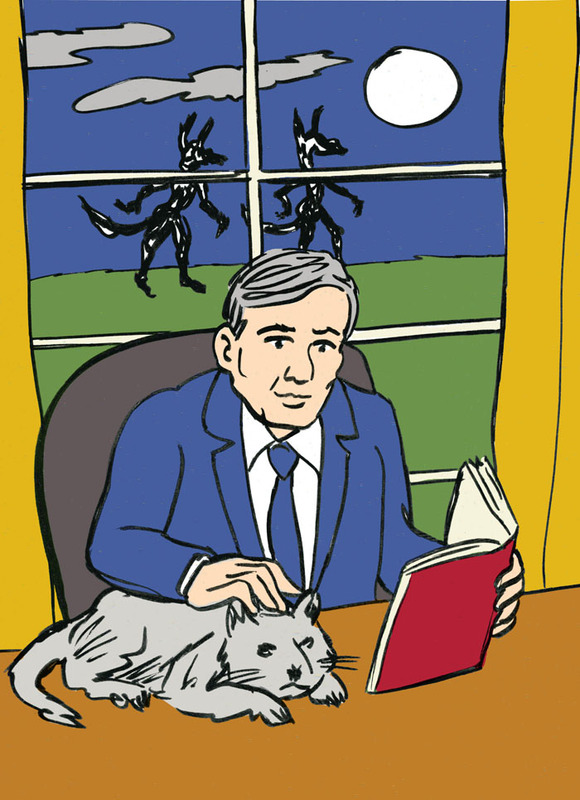 Jerome Charyn is one of those rare breed of writers able to write some of the most earthy stories involving some of the most larger-than-life figures, everyone from Marilyn Monroe to Teddy Roosevelt. For TR, Mr. Charyn pulls out the stops offering up the man in his own voice, a magnificent mashup of macho and aristocrat. Bully! TR, as he looks out from Mount Rushmore, remains one of our greatest personifications of America. 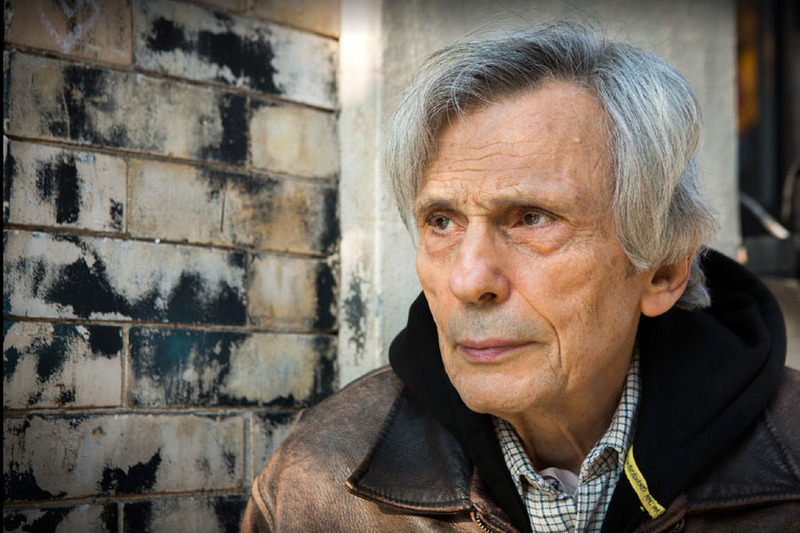 And with his new novel, Jerome Charyn completes his run at Rushmore. He managed to tackle Washington and Jefferson in 2008’s Johnny One-Eye. 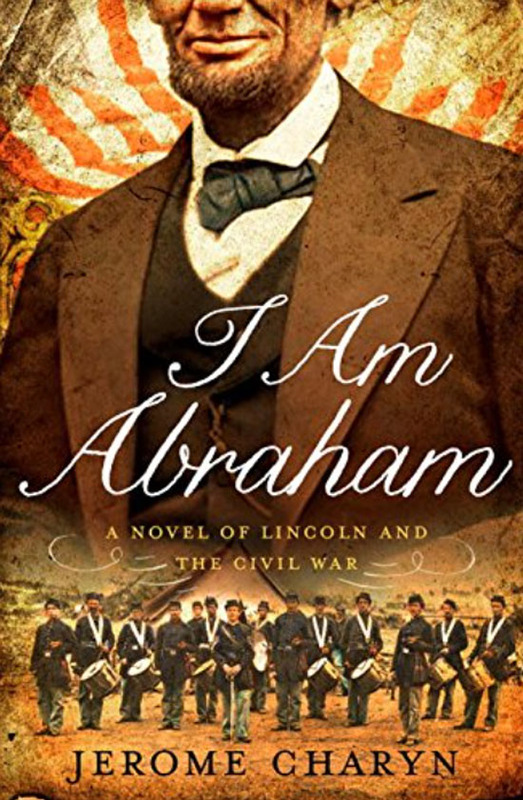 He dug deep into the psyche of Lincoln with 2014’s I Am Abraham. And now we have The Perilous Adventures of the Cowboy King: A Novel of Teddy Roosevelt, published by Liveright, a division of W.W. Norton & Company. We were mobbed at every station along the route. Folks welcomed us to their own little war parades. Half-mad women scribbled letters to Rough Riders they had never met and would never meet again. Some proposed outright marriage. A few of our bravos fancied a particular lady and disappeared from our caravan of seven trains. Leonard cursed their hides. But these bravos managed to find us at the next station, or the next after that. A horse died of heatstroke, but we didn’t lose a bravo, not one. People would shout from the tracks, “Teddy, Teddy, Teddy,” and I realized why the Army regulars hated us so. We had captured the imagination of blood and battle somehow–the Rough Riders represented the romance of war. We could have risen out of some biblical rapture. The Army couldn’t compete with cowboy cavaliers. I had clocked twenty minutes, like pulse beats in my temples. Winters-White kept me from plummeting into that gnarled jungle floor. He tapped me on the shoulder and removed the blindfold. We were in a slight clearing, a bald patch without a single root or tree. And in this clearing was a canvas chair that might have come from a general’s tent. A man in a pince-nez and cowboy neckerchief sat in that chair. I’d have guessed he was my age–a few months shy of forty. He had a jeweler’s nimble hands. His mustache was almost as red as mine, and his eyes were probably just as weak. I couldn’t imagine him as a sniper, shooting at children and nurses from the Army Nurse Corps. Yet here he was, in the green uniform of a Vaquero. “We’ve met before,” he said in a slight accent. Wouldn’t it be something to see a Cowboy King movie? There is room for a sequel as this novel covers Roosevelt’s life right up to September 6, 1901, the assassination of President William McKinley, a day that would catapult TR as far into the arena as he had ever dared possible. That said, you really don’t need to look any further than this novel. Cowboy King is a novel at its best: engaging, immersive and compelling. Teddy Roosevelt, an American original. The Perilous Adventures of the Cowboy King: A Novel of Teddy Roosevelt is a 286-page hardcover, available as of January 8th, published by Liveright. And be sure to visit the Jerome Charyn website where you can purchase a signed copy. 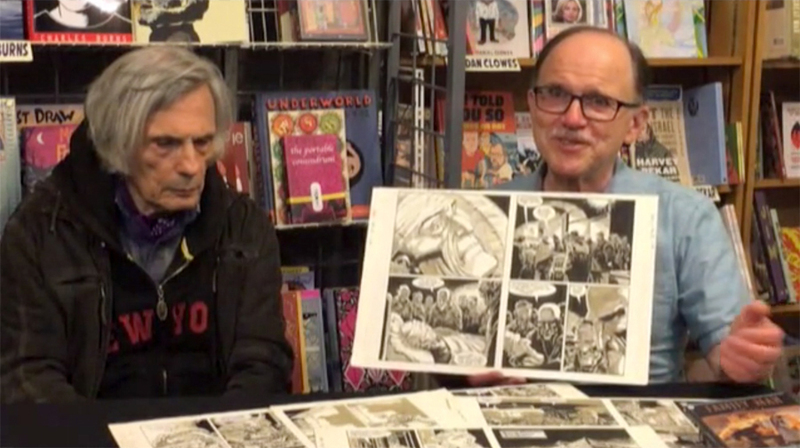 Editor’s Note: For those equally attracted to prose and to comics, Jerome Charyn has quite a significant connection with the comics medium. He has collaborated with some of the best artists in Europe. 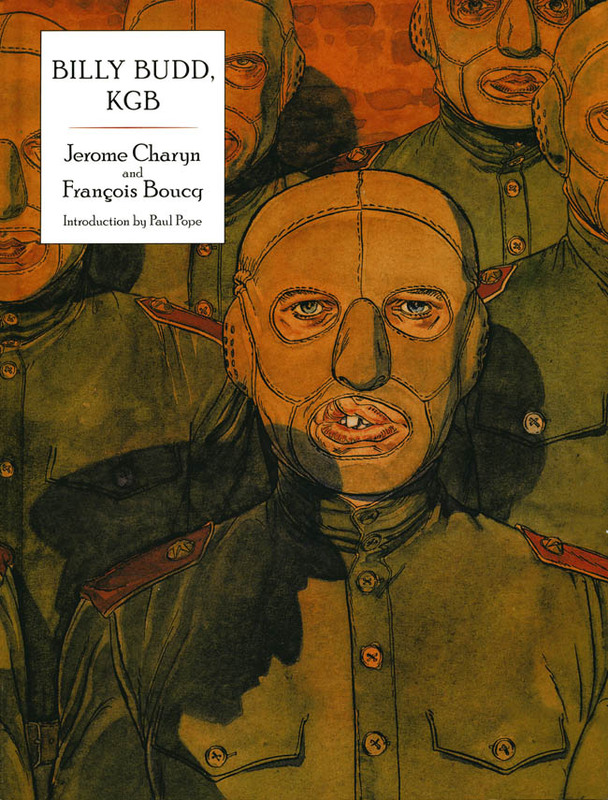 For instance, you’ll want to check out titles written by Jerome Charyn and illustrated by Francois Boucq. A new title is in the works too. 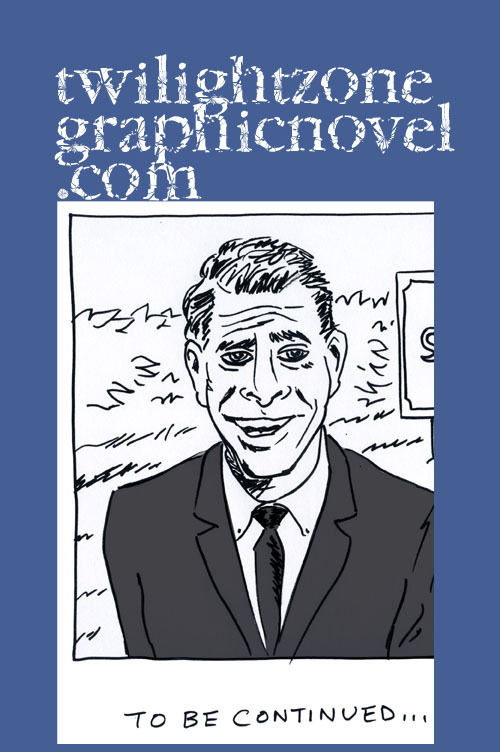 For additional posts, including those featuring comics, go right here. Saul was the first king in the Bible but, as writer Jerome Charyn points out, he took a backseat to the celebrated David. It was David who gained all the glory and Saul who was left in the shadow. That’s not to say Saul wasn’t worthy. He simply wasn’t favored by God. It’s a tough place to be and a lot of people can relate to that. In his distinctive and vivid way, Charyn collects in his new book some of his best work on the theme of the underdog, the one deserving yet less embraced. In the new book, Charyn also provides a look back at a writer’s influences. 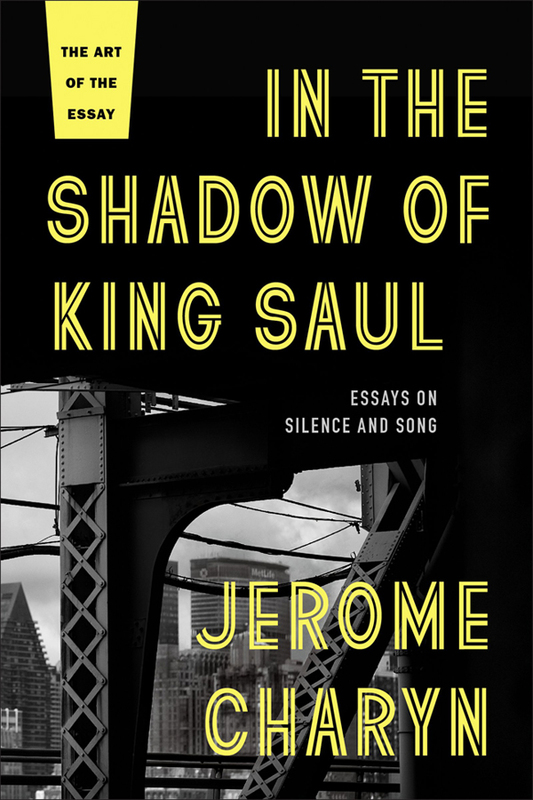 In the Shadow of King Saul is a 272-page paperback, available as of August 28th, published by Bellevue Literary Press. It matters little if you’re famous or unknown when it comes to being an underdog. New York mayor Ed Koch, for instance, shares a similar spot with Saul too. In one piece, Ellis: An Autobiography, the reader follows Charyn down the mean streets of the Bronx in the ’40s to an unfolding immigrant’s tale. The featured guest in this narrative is the famously accessible yet often maligned Ed Koch. In the process, it seems that everything is revealed all at once in a kaleidoscope of rich detailed observations. New York City, a city of ups and downs, had reached the brink in 1975 and was nearly bankrupt. Enter Ed Koch. He turned the Big Apple into a boomtown again. But the featured guest ultimately takes a backseat to his city since it’s New York City that’s the real star. Charyn takes pleasure in sharing the lesser known achievements. His admiration for such literary greats as Saul Bellow and Isaac Babel is infectious. But, with the same gusto, he champions less known writers like Samuel Ornitz and Anzia Yezierska. It is in doing so that he honors his offbeat choice for a hero, the much maligned and misunderstood King Saul. In the Shadow of King Saul is a 272-page paperback, available as of August 28th, published by Bellevue Literary Press. 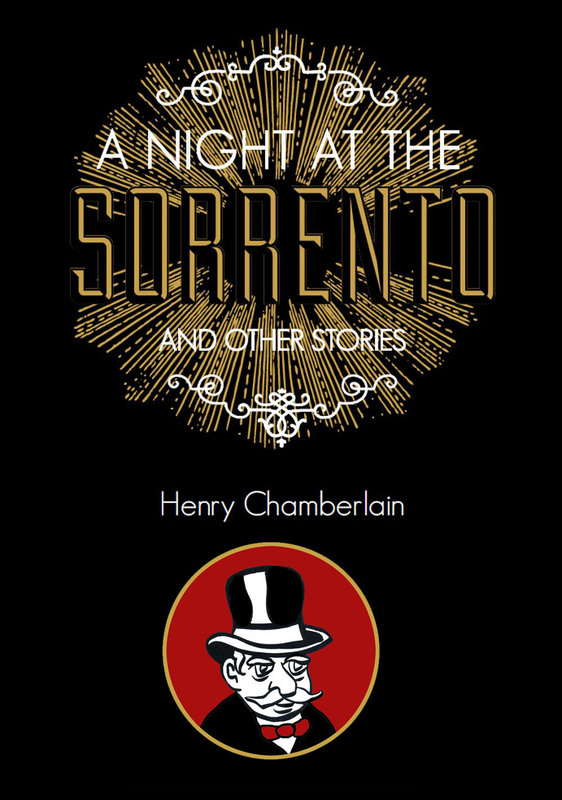 Henry Chamberlain: Would you share with us your thoughts on the American roots to crime fiction and how it was perhaps inevitable for you to make your own contribution to this genre? 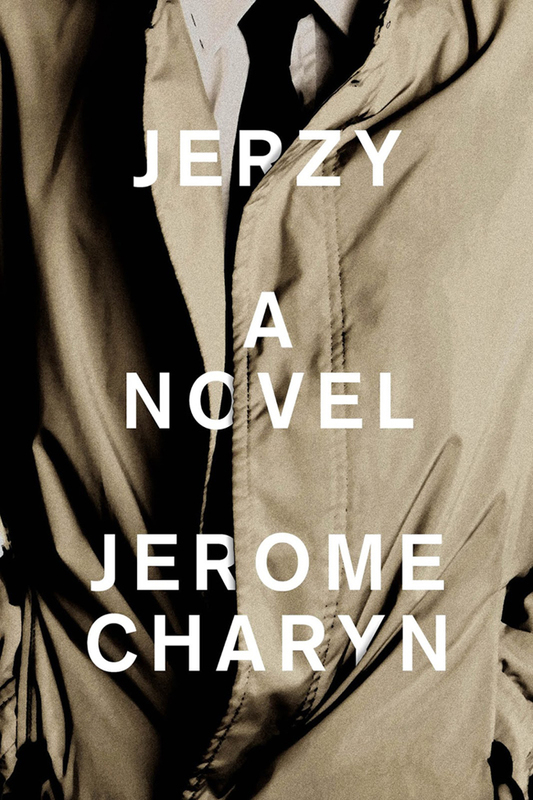 Jerome Charyn: I’ve always felt that all novels are crime novels and I just didn’t realize it. Of course, my brother was a homicide detective. And, once I’d read Dashiell Hammett, after having read Hemingway and Faulkner, I began to feel that Hammett had invented a new kind of language: a poetry of crime. To some degree, Hemingway also wrote crime stories. There’s one called “Fifty Grand.” I was overwhelmed by Hammett and not so much by Chandler. Chandler was recognizable in terms of his literary qualities. But Hammett was a true original. We had never had another writer like him, an actual Pinkerton, who described what it was like in that world, and the craziness of that world really mirrors the craziness of the world we’re living in now. You should. It’s excellent. It’s about a CIA station in Berlin. And it has the same kind of madness that you would find in my own fiction. So I was very happy to watch it. I think after the discovery of Hammett, and particularly his novel, “Red Harvest,” I felt that this was a world that I had to enter as fast as I could. Also, I had read Ross McDonald but after a while, his novels became repetitive whereas it was Hammett who had invented a new kind of language for the 20th century. And, it seems to me, he has never received the recognition he deserves. 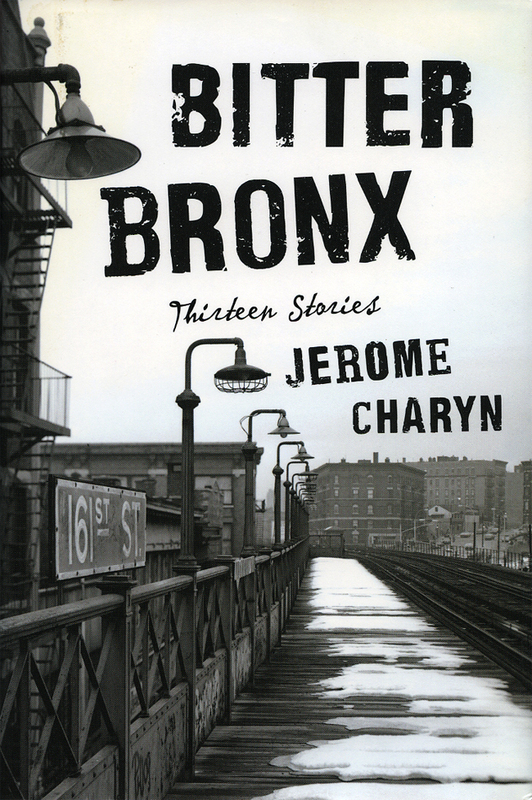 Jerome Charyn, a kid from the Bronx. You have a terrific hook in “Winter Warning” with a renegade president. What some readers may not be aware of is that you had already laid down the groundwork for Sidel’s political rise to power in the two previous Sidel novels, “Citizen Sidel” and “Under the Eye of God.” With the latest novel, “Winter Warning,” you have Sidel as an accidental president. And you find yourself with the added bonus of the current president. I wrote this before the election of Trump and, like everyone else, I didn’t anticipate that Trump would win. Is it a bonus or is it more of a distraction in a way? It’s certainly not a distraction as much as a mirror, a crazy funhouse mirror of what is actually going on in the world today. There are many resemblances between Trump and Sidel. Republicans and Democrats hate them both. They both have to maneuver on their own. They both have a kind of poetry. Isaac is tenuous. And Trump is not. There are certain similarities: the sense of the maverick, the person who goes his own way. I imagine you followed current political trends while tapping into timeless qualities of the contemporary American presidency. I was particularly fascinated with the presidency after writing a novel about Lincoln. And I also wrote a novel about Teddy Roosevelt just as he’s about to become an accidental president after McKinley dies. 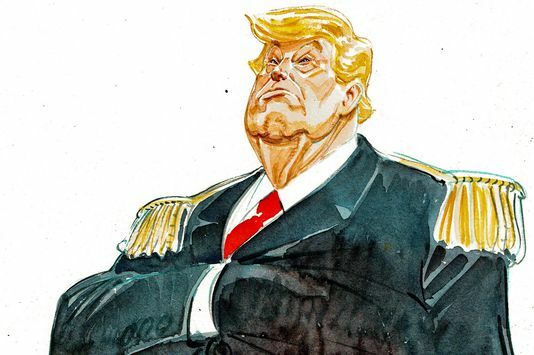 So, it was very much on my mind as to how the office shapes the man and the man shapes the office—because, in some way, the American presidency will never be the same after Trump. Never. It can never go back to what it was. It is a very sobering thought. The pieces on the geopolitical chessboard are being jostled with by Trump. With Obama, we had a good role model. With Trump, I think, we have some sort of throwback. It’s not simply that he’s a throwback. We never realized before the powers that the president had. With the separation of powers, with the Supreme Court, with the Congress, there seemed to be some limits on his powers. But there are no limits. He does what he wants, when he wants, as he wants. He says what he wants. He retrieves what he says. He denies what he says. And, also, we’ve never had a president who tweets. I mean, it is a kind of crazy poetry. One has to give him that particular credit. He stays up in the middle of the night and tweets his platform. We’ve never seen this. We don’t know how to deal with it. And, obviously, the Democrats, who should have won the election, are completely bewildered—and didn’t know what to do with him. And we still don’t know what to do with him. I think there is a strange resemblance between “Winter Warning” and the current situation. As I said, I didn’t write it with Trump in mind. 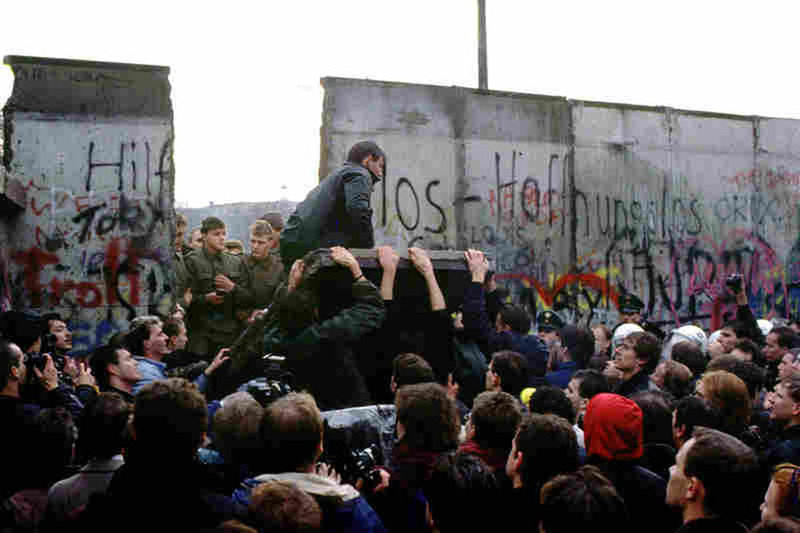 East and West Berliners tear down a portion of the Berlin Wall, November 9, 1989. It’s interesting how the timeline for the Sidel series puts us in 1989, or an alternate 1989, I should say. In some ways, that was a more quiet time but the world is always changing and we are right on the cusp of the implosion of the Soviet Union. Yes, as the so-called Soviet Union implodes, separates into separate nations; it is the end of the Cold War but it’s the beginning of a different kind of war. To some degree the secret agents that were in place, on both sides, remained in place even after the end of the Soviet Union, the coming down of the Berlin Wall, and so on. It’s very difficult to determine what is real and what is not real these days as we have a constant variation on the truth, or a constant multiplication of the truth. The truthful lie. I don’t know how else to describe it. Sidel isn’t like that. He’s a very moral person. But, remember, he’s killed his way to the top. He would never have gotten to where he is without his Glock. 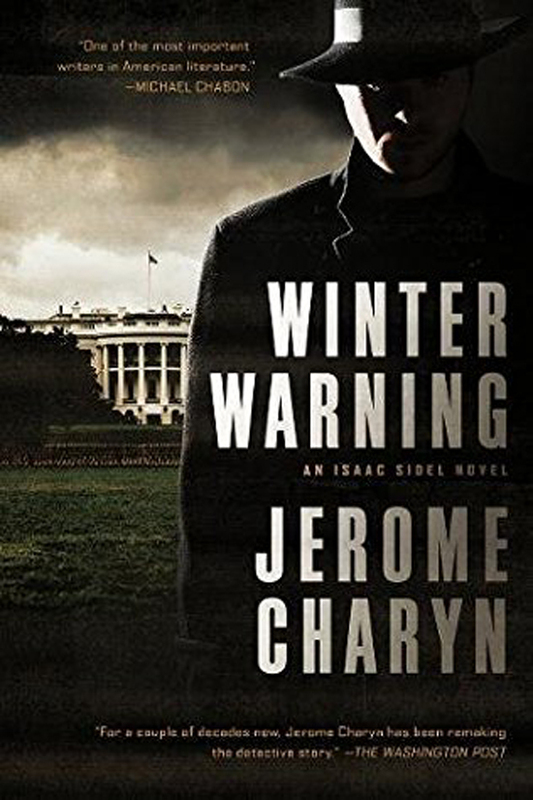 I look at “Winter Warning” as a political thriller and a thinking person’s world-weary journey so, in that sense, Trump seems to me to be a distraction. He’s not in the equation to this novel and yet there is an undeniable connection. There are some presidents who will always lend themselves well to fiction. Lincoln stands out. Lincoln is quite fascinating. I did a great deal of research on him for my novel. He really grew in the office. He had the prejudices of his own time. The presidency made him great and he made the presidency great. It was a strange evolution. When he talks about the better angels of our nature, there’s real poetry in what he wanted to say. He was our resident poet in the White House. I was hoping that Obama would be the same kind of poet but, in the end, he wasn’t. His speeches didn’t hold up in the same way. We don’t have a Gettysburg Address, which is overwhelming. It’s a kind of tone poem. Everyone was expecting Lincoln to give an hour speech and he spoke for four or five minutes. Lincoln haunts Isaac Sidel’s White House because, of course, he haunts my own head. We will never see another man like him. I don’t think so. Teddy Roosevelt, in his own way, did a lot of great things but he wasn’t anywhere as poignant as Lincoln. Of course, I wanted Isaac to be poignant. On the other hand, after completing forty years of work, I didn’t want to have a musical climax or crescendo. It’s just the end. His life can go on. It was the end of a jagged symphony. It was the last twisted movement. I didn’t want to sum things up. But, on the other hand, I wanted him to end as a sitting president, to go all the way up the American ladder of success. He went from a deputy chief inspector to chief inspector to first deputy commissioner to police commissioner to mayor to vice president, although he never served as vice president. I did think of having him in that job (vice president) but it would have seemed a bit artificial to me. I wanted him to dig right into the dirt. Without having to give anything away, will the upcoming animated series, “Hard Apple,” based upon the Sidel books, (art by Asaf and Tomer Hanuka) be able to cover all the books? Well, we will start with “Blue Eyes.” It takes several months to do one episode of animation. I would like it to follow Isaac Sidel’s career. I wouldn’t work on all the books but perhaps six or seven and have Sidel end up all alone in the White House. Do you think that Trump will make as satisfying a fictional villain as, say, Nixon? Or will people have soured so much on Trump that it will somehow not work? One never knows. We’re living in such a strange time that I wouldn’t even want to make any kind of prediction. It would be very interesting to write about him just as a phenomenon because that’s all that one can say. He’s a kind of hurricane passing through the entire world. And we don’t know quite what to do. We don’t know how to be prepared for it. And yet, there he is. If one were to deal with him fictionally, well, you must have seen Saturday Night Live. That’s probably the best fictional representation of him, with Alec Baldwin. I don’t think you can get any better than that. So maybe humor and parody are the way to deal with Trump. Anyway, the relationship between fiction and reality is so tenuous that one can’t anticipate what future writers will do in terms of Trump or how he will be treated. For example, when we used to think about World War II, we had certain novels like “The Naked and the Dead” and “From Here to Eternity” and then suddenly in the Sixties, we had “Catch-22,” which was a completely different take on the war and the madness of war. It took a long time to re-envision what the nature of war was like. We would never have thought of war in that particular way. And when Heller tried to do a a sequel, it didn’t really work. The original was too much a product of its own time. In other words, it was the Vietnam War superimposed upon World War II and that’s what made it so interesting. I think it will take a very long time before we can fictionalize the world as it is unfolding today. For someone who seems so unintellectual, Trump does play the most devious mind games. 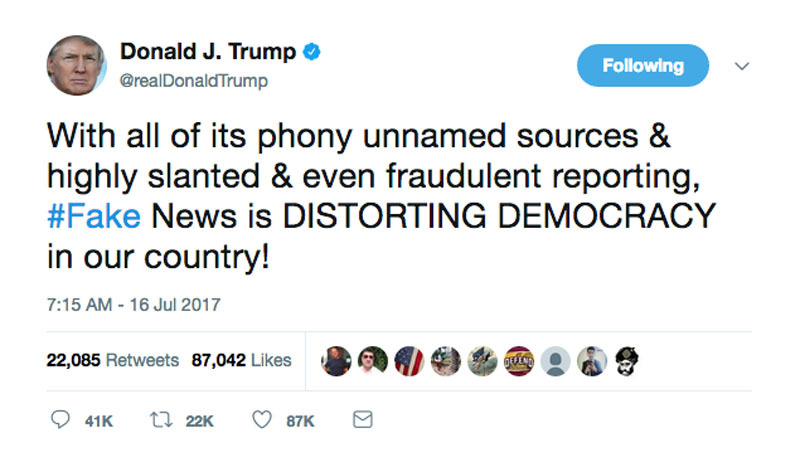 There is his strategy of lying where he flips the lie and makes the accuser appear to be the liar—it’s a Russian technique. He’s very shrewd in his own way. While Hillary was preparing for her victory at the Javits Center, he was out campaigning on the very last night. He was a man who stood there alone. Whether he believed he was going to win or not, we have no way of knowing. It’s not that easy to figure him out. Certainly, I think the tweets are brilliant. 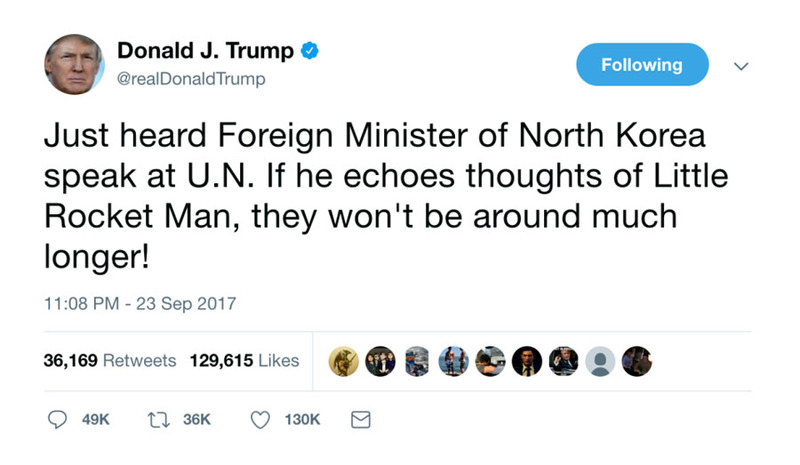 And when he uses the term, “Rocket Man,” for example, he does have a kind of poetry. You were part of the Writers and Editors War Tax Protest in 1968 protesting against the Vietnam War. Do you think that today’s protests get the same kind of attention? Well, it wasn’t exactly the way it sounds. What I did was help to educate people. I went door to door in California. I wasn’t trying to convince anyone about how they should feel about the war but just provide them with some history. That is why I’m a little disappointed with the new Ken Burns documentary on Vietnam because it was a more complicated matter, with opposition coming from within the government, but those details got glossed over. Johnson himself knew that we could never win the war. And we lost the war the first time American soldiers appeared on the ground. It was a very sad epic. And when you think of what we were able to do in World War II and how we rebuilt Europe. We brought these countries back into the world. So, it was a very different kind of strategy, the way Americans used power. And now, I haven’t got the slightest idea. For example, I wouldn’t be able to write about the current situation. But I did write a novel about the Vietnam War and felt comfortable doing it. There are two films about the current situation, “The Hurt Locker” and “Zero Dark Thirty,” that really capture the craziness in the world. You have these young American soldiers, who haven’t traveled much, and then find themselves in a world where they can’t read the signs or the signals. What I found most interesting about Vietnam was the lingo that Americans produced. The way that they combined colloquial French and a sort of Broadway slang, to create a whole new language for Vietnam was extraordinary. But the war itself was never winnable, no matter what we did. 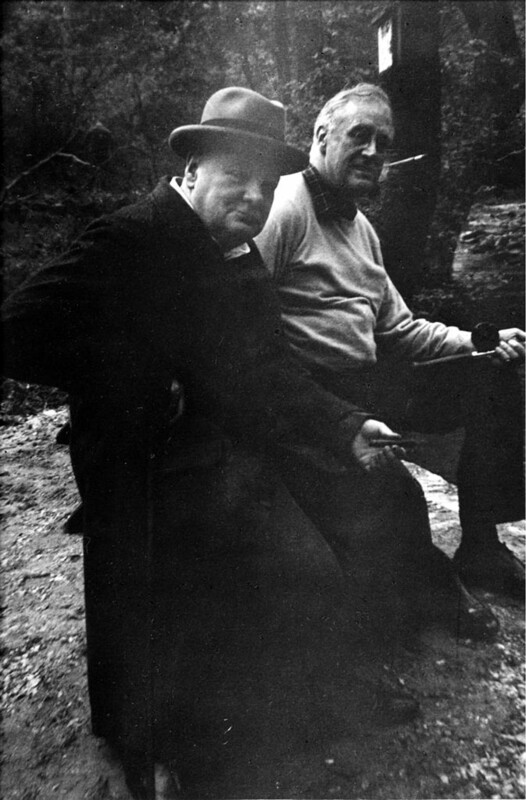 Franklin D. Roosevelt fishes with Winston Churchill at the presidential retreat Shangri-La (later called Camp David) outside Washington in May 1943. All of the characters in “Winter Warning” are colorful and interesting. One that stands out for me is Ariel Moss, the former prime minister of Israel. As a kid, I remember paying attention to the Camp David Peace Accords so I know that Moss is inspired by Menachem Begin. I didn’t want to use the name. I wanted to invent a Begin-like character and evoke the sadness he went through after his wife died. Then there’s Camp David. And I had fun researching the presidential helicopter service, Marine One. I knew that Camp David and Marine One were going to create the thrust for the novel. I read whatever I could about Marine One and the squad of pilots and how each president leaves his own stamp on Camp David. Franklin Roosevelt first used Camp David as a retreat. Lincoln had his own summer retreat. He’d go to the Old Soldiers’ Home and then ride back to the White House. After writing about Lincoln embodying that world, it was a little bit easier for me to see Sidel in that same house in Lincoln’s shadow. There’s also the way Truman described the White House as the “little white jail.” All of those takes are interesting. Could you name any of the French and Broadway combinations of lingo that emerged from Vietnam? Like I said, I think “Berlin Station” is very powerful. I think some of the best writing is being done in episodic television. The movies now are for twelve-year-olds. But, in terms of HBO, Amazon, and Netflix, we’re getting exciting options. Think back to “The Wire.” Did you ever see that? You should. 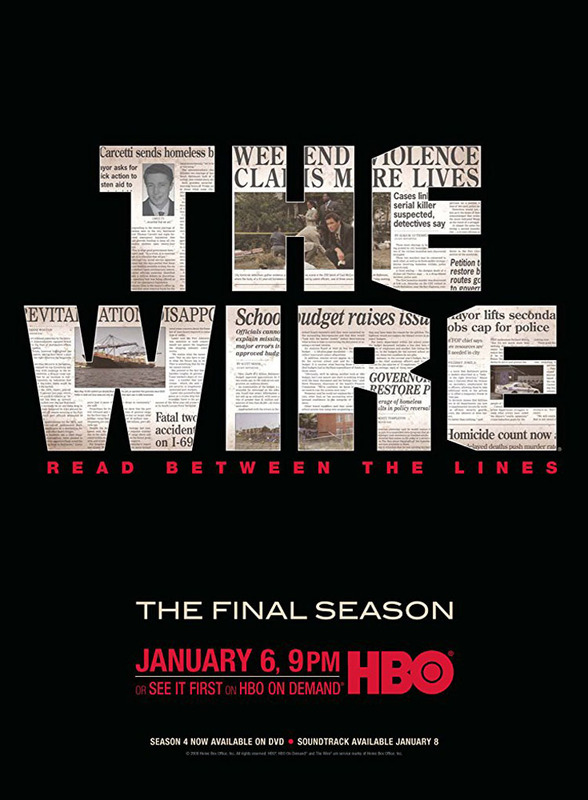 “The Wire” is one of the very best. There are others. “Deadwood” is another one. A lot coming out of the BBC, like “The Singing Detective.” That was probably one of the most creative things I’ve seen on television. It’s the writer-producer who creates the show. In that sense, you can have some very good things as well as bad. New editions of Sidel books in Germany. The series, at the beginning, was very different. It evolved as I evolved as a writer. You never think that you’ll finish all twelve. I consider them three quartets. The only reason I was able to complete the Sidel books is because my editor/publisher at Liveright, Bob Weil, spent a long time on each draft. I’d be working on the Sidel books while he was working on Lincoln, or the book on Emily Dickinson. I had a strange surreal time between novels, trying to keep the distinct voices inside my head. What I like best about the Sidel books is that you can read any title without knowing anything about the others. It will enrich the experience if you do read the others but each stands alone. 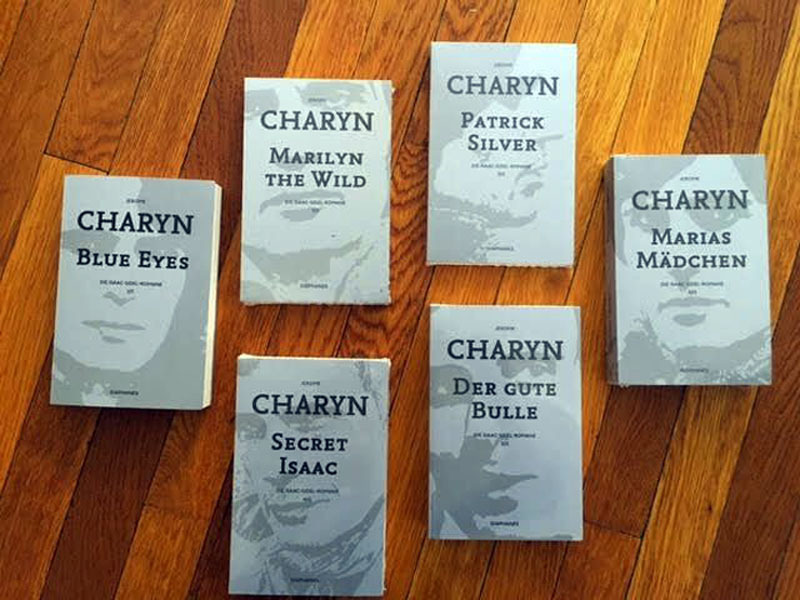 In Germany, they have been republishing each of the Sidel books with a photo of me on the cover that coincides with the time I wrote each book. It’s an interesting idea. The main thing is that you want to keep working as a writer. I feel that we’re living in a time that is hostile to the writer. You have to have an inner resource to sustain yourself. Writing was something I always wanted to do from the time I finished high school. I never thought in terms of failure or success. I just thought in terms of how to sustain myself. I was very lucky, as my generation was the first that welcomed creative writers to teach at the universities. It had never been the case before. And then I stopped teaching and moved to Paris. And soon I began to teach there. I started a film department at the American University in Paris. As with anything, you also need a tremendous amount of luck. 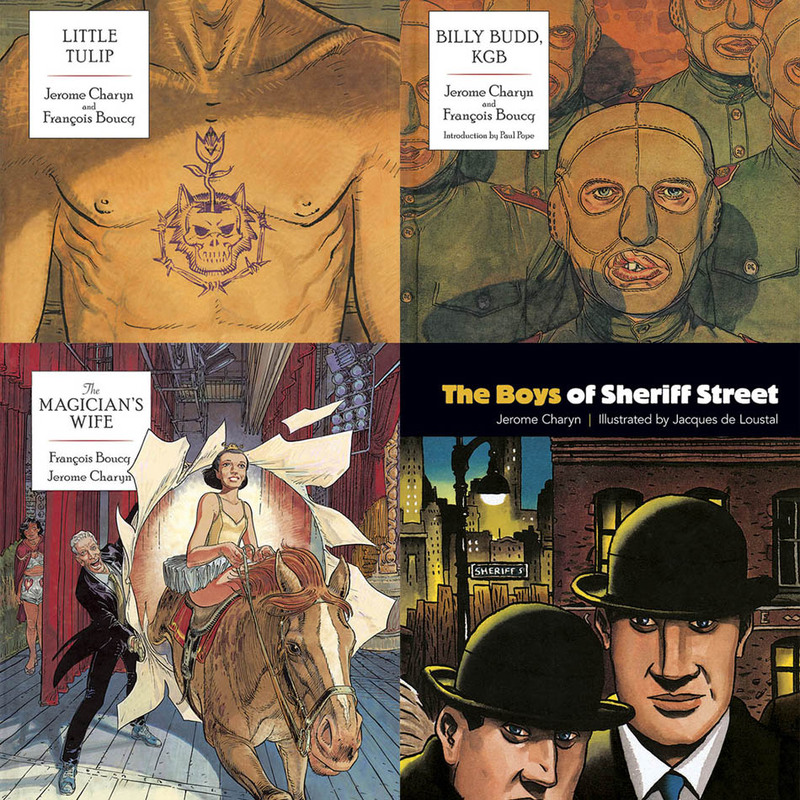 Four graphic novels by Jerome Charyn, available from Dover Publications. Yes, luck and will power. Well, you can have all the will power in the world but if you don’t have any kind of luck, then you defeat yourself. You need some kind of acknowledgement. The books I’ve written are there for people to read. Some of them may survive and some of them may not. One never knows. Also, the graphic novels that I wrote are very important to me. I was the first American novelist in Europe to work with a French artist and then other French writers began doing it too. I grew up with comics, as you already know. We’ve talked about it. You have so many portals that one can slip into. You have so many outlets for people to discover your work. Well, if they take the time. The problem is you don’t have as much time to read anymore. Everything moves so quickly, but if you can take the time to read then you can take the time to discover. When I went to college, reading was the central occupation of what we did as students. You didn’t do anything but read books. You were much better equipped to deal with the outside world having had these dialogues with writers, with having had Plato inside your head. Today it’s more of a juggling act. A student’s attention is divided between reading and engaging with social media. It’s a very different world. And it has evolved very quickly. What place there will be for books, I don’t know. I don’t feel very optimistic about the future of books. I feel there are a lot of dedicated readers. My daughter, at 21, prefers to read in print. I like both print and digital equally. There’s a healthy community of readers out there. It’s not a question of a lack of readers. It’s about the lack of venues for these readers. For example, it’s so much more expensive to put out a print book. When I first started writing, if a publisher liked your work, he knew that you’d have a library sale of between 1,500 to 2000 copies so that you could easily sell four or five thousand copies. That would be enough to do a second book and a third book. But now the library sales have disappeared; the book clubs have disappeared; and the paperback houses have disappeared so the avenues for income are not there. The only avenue you have left is the translation of a book into a film—and that may be more prominent that it was before. Or a television series. One or the other. And that may be what rescues fiction. As long as I still get pleasure from books, I will write them. There are fewer book reviews, fewer publishing outlets, so it’s hard to reach the reader. I think people are reading as much as ever but what they’re reading, I don’t know. Also, someone has to make predictions based upon book reviews. If you look back at the last fifty to sixty years, most of those predictions have been wrong. What seems to be wonderful isn’t so wonderful. I’m not talking about myself. I am talking about how books can come out of obscurity. 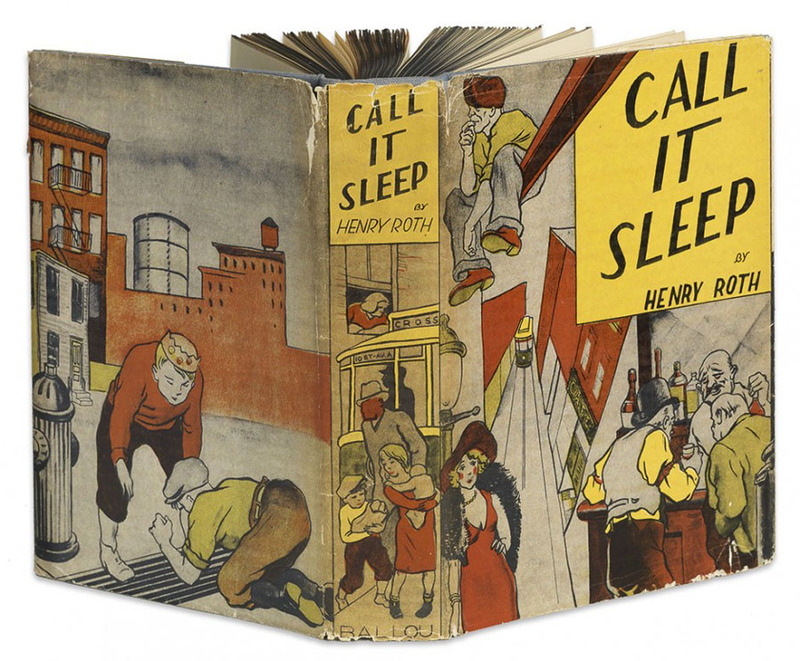 For example, “Call it Sleep,” by Henry Roth. It was published in the ‘30s and disappeared. Then it was republished in the ‘60s and it was a phenomenal hit. These things do happen but they happen much less frequently. That’s absolutely true. 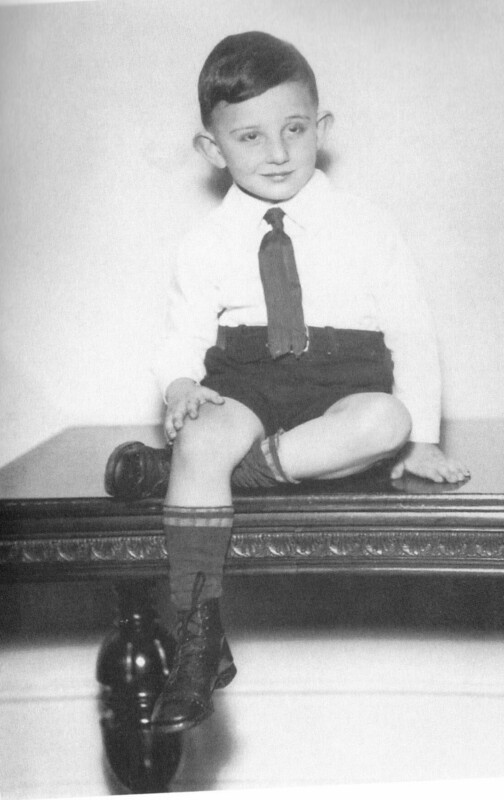 Fitzgerald died at a very early age. He was only 44. He was completely forgotten. It was only because of Edmund Wilson’s essays in The New Yorker that he was revived as a writer. In his own lifetime, Fitzgerald had disappeared into the void, his fame all eaten up. It’s odd which writers are recycled, which writers come back to haunt us, and which writers speak to us in our own generation. “Winter Warning” is a 288-page hardcover, available as of October 3rd. For more details, visit Pegasus Books. Be sure to visit the Jerome Charyn website here. Isaac Sidel, the president with a Glock. Illustration by Henry Chamberlain. Writers reach a point in their careers when they can spin gold from within just about any scenario. Jerome Charyn gives himself the perfect backdrop from which to play in his latest novel, “Winter Warning,” published by Pegasus Books. This is the White House. And, if you think Donald Trump is “disruptive,” then get a load of the Isaac Sidel administration: people get punched in the face and guns are fired into the ceiling on a slow day. Charyn makes the most of his opportunity to craft a climactic conclusion to his iconic Isaac Sidel mystery series. And, in the bargain, Charyn revels in speaking to the byzantine interconnections between American and Russian players. Isaac Sidel, has gone from street cop to police commissioner, to mayor of New York City, to president of the United States. The timeline to the Charyn mystery series places the story in 1989 but, without a doubt, the narrative is every bit as relevant as if it were set in the present. Sidel is indeed a disruptive force. He is, by and large, an accidental president, a vice-presidnet thrust into the highest office after a political scandal. And Sidel is quite outspoken, beholden to neither major party. Where Trump leans to the right, Sidel leans to the left. Side’s liberal inclinations have more to do with a passion to help the oppressed than anything else. Given the chance as mayor, he released countless prisoners from Riker’s Island, victims of an unjust legal system. Our story heats up when Sidel’s more aggressive style attracts various rogue elements, including nefarious Swiss bankers and an erratic former Israeli prime minister. Olinov appraised the portrait of Isaac with an ice pick piercing his left eye. Isaac Sidel is the president who packs a Glock. As much gritty crime story as political fable, “Winter Warning” takes the reader on a mesmerizing journey. This is the story of an American president who prefers to hide in an office he’s set up in the White House attic. That attic becomes home to a makeshift kitchen cabinet and a haven for various rogue elements. But Sidel, as always, is also a man of action. Charyn keeps this president on the run. Charyn has a delicious way of hinting at what lies ahead and then, like a panther, hits his mark and pounces on his prey. 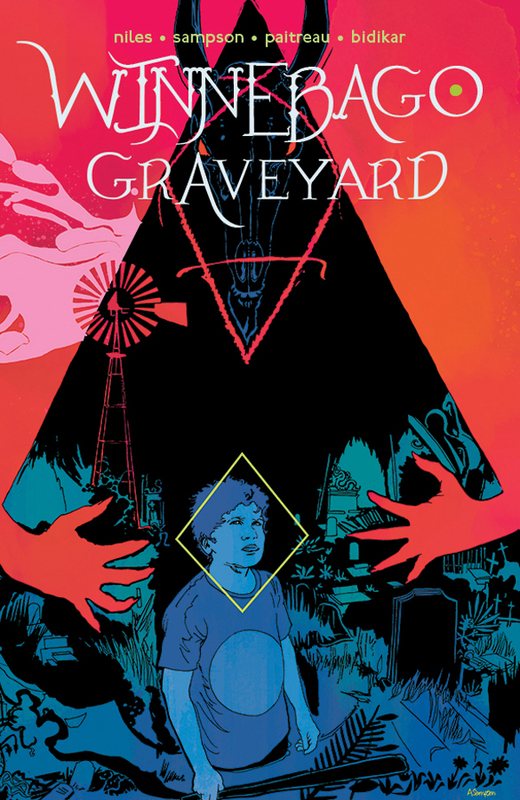 The pace to this narrative is quick and steady allowing Charyn to conjure up elaborate scenes, deliver on his promise, and quickly sneak out the backway. Charyn is a master at creating a rhythmic pattern. We return throughout to an image of a man with a Glock, a man confronting werewolves, and the realization that he is a werewolf himself. This is not a horror story with werewolf tropes. These werewolves symbolize a certain dark and independent spirit. Sidel is indeed a werewolf. He knew it all along. He just needed an opportunity to prove it to others and confirm it to himself. With a target on his back, and nearly no one to trust, Sidel will need strength from any source he can find. This is a riveting mystery with a hard-boiled edge and worldly charm. “Winter Warning” is a 288-page hardcover, available as of October 3rd. For more details, visit Pegasus Books. 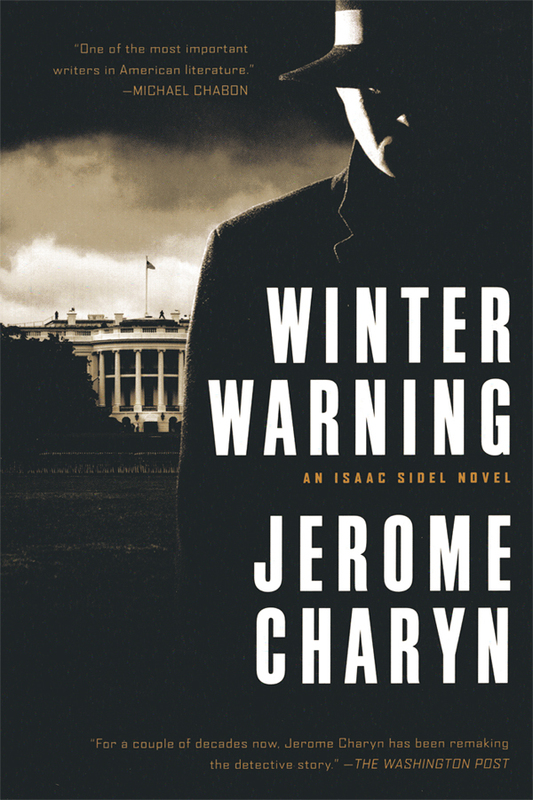 Much is brewing for novelist Jerome Charyn and I imagine that’s always been the case. Currently, he has a new novel out, “Jerzy,” which tackles the controversial life of writer Jerzy Kosinski. 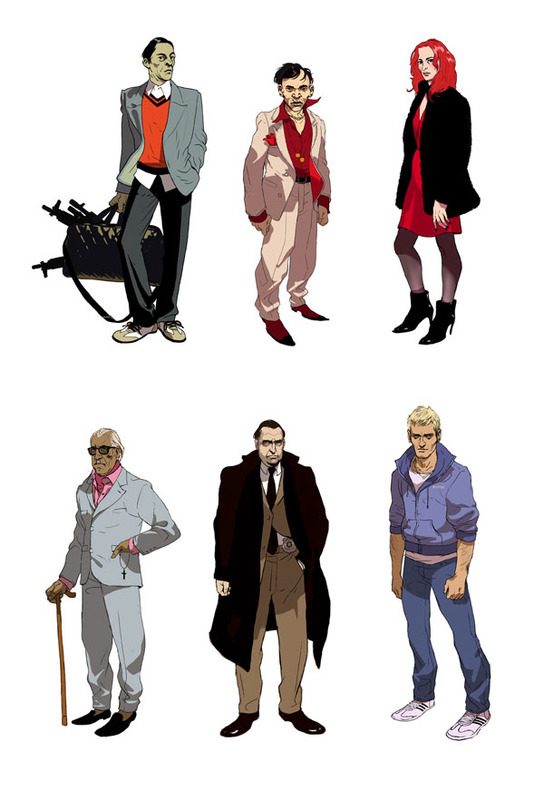 The development of “Hard Apple,” an animated series based on Charyn’s Isaac Sidel crime novels, is on a fast-track. “Winter Warning,” perhaps the last installment of the Sidel novels comes out this October. 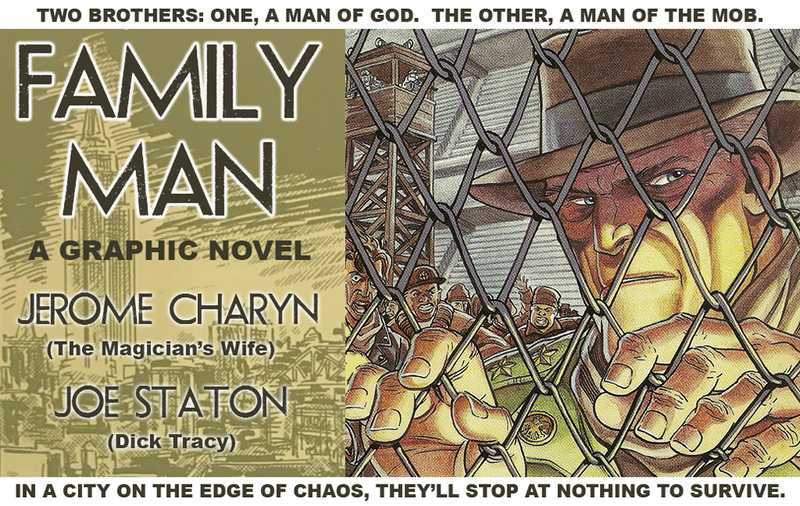 And “Family Man,” a deluxe re-issue of Charyn’s collaboration with cartoonist Joe Staton will be available later this year, with a Kickstarter campaign in support of the IT’S ALIVE Press print run closing on May 21st. For a writer steeped in the works of great literature, it is comic books and movies that influence his work as much as anything else. 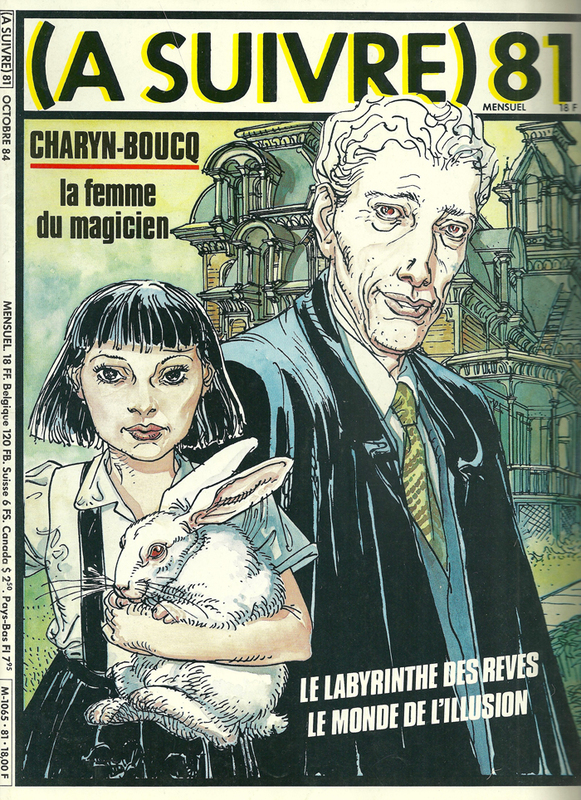 In 1986, “The Magician’s Wife,” a graphic novel written by Jerome Charyn and illustrated by François Boucq, published by Casterman, won for Best Album at the Angoulême International Comics Festival. That is tantamount to winning an Academy Award for the comics industry. 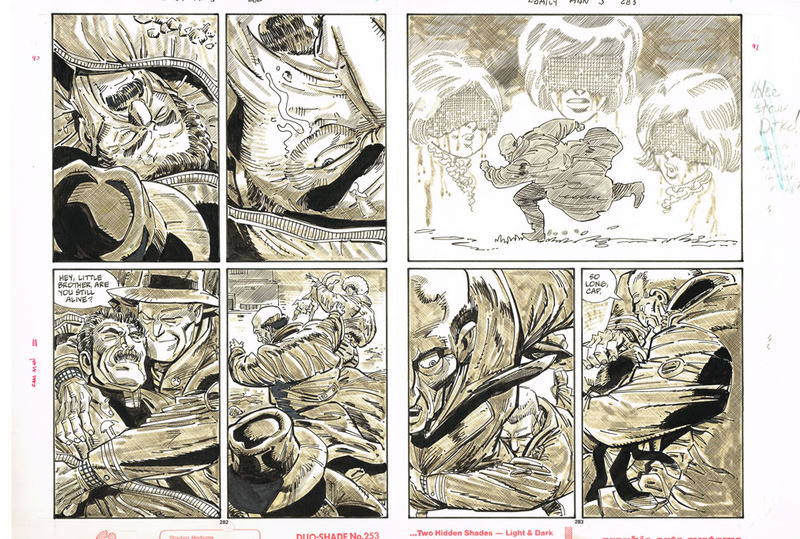 Mr. Charyn’s contribution, and subsequent collaborations, have significantly added to the developing art form that is the comics medium, specifically graphic novels. 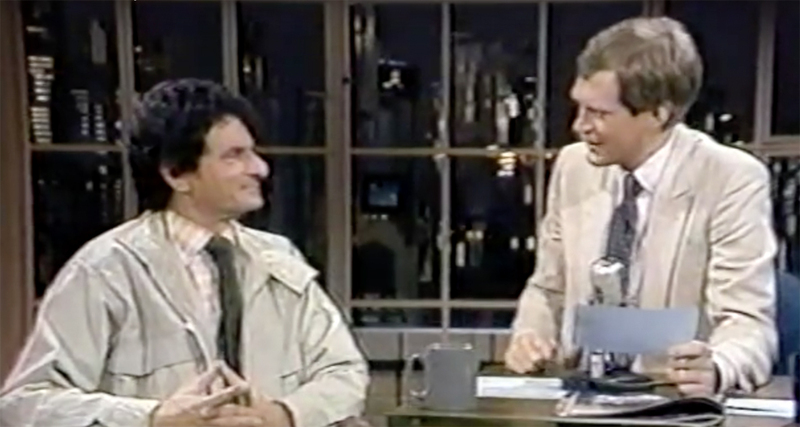 Jerzy Kosinski with David Letterman, 1984. HENRY CHAMBERLAIN: Let’s begin with your recent novel, “Jerzy.” My thinking is that the life of Jerzy Kosinski fits in well with your work as you’re drawn to unusual characters seeking salvation. JEROME CHARYN: When you look back at it historically, it almost seems like he didn’t exist. He seems like a made-up person. He led so many fictional lives. To me, it was very sad because the first two books he wrote, “The Painted Bird,” and his second novel, “Steps,” which is just as unusual, were works of genius. But, when he put on the mask of Jerzy Kosinski, in the other books, they’re no longer anywhere as interesting. They don’t have the same sad, hard touch. They’re made-up, invented. They’re not authentic. “Steps” talks about his life after the war and how he lived. We have such a narrow glimpse into what it must have been like to live in a communist country after the war. And this is, you know, almost like Kafka. I mean, the world he describes in “Steps” is extraordinary. I found him to be a strange man. Very hard to deal with. But the early work was incredible. You share a certain sensibility with Kosinski: a connection to Russia. Yes, my mother was Russian. And I love the literature. There’s nothing like it. This is not to take anything away from American writers but when you go back to Dostoyevsky, Tolstoy, Pushkin, Lermontov, and Gogol, it’s almost like being caught in a landscape of illusions. Would you share with us your special connection to comics. You grew up in the Bronx with comics. Yes, that’s why it’s not so strange to be involved in the whole aura of comic books. I’m about to embark upon an animated series based on my Isaac Sidel crime novels. People talk about the special role of storyboard artists. Well, I’m a storyboard artist in the sense that I can see the storyboard in my head. I grew up with comics. I learned how to read with comics. As you wrote in one of your articles, I’m one of the first people to make the crossover from fiction to comics. I started out as an artist but I had no talent at all. So, I needed artists to work with. And I was lucky to find some of the very best artists while I was living in France. Had I not been living in France, it probably would never have happened. A SUIVRE, a Franco-Belgian comics magazine published from February 1978 to December 1997 by the Casterman. Your work in comics began with your connection to the comics magazine, A SUIVRE. When you were entering into this collaboration, were you at all thinking that you were about to a make your mark on this exciting and emerging comics art form or were you thinking more of it as an interesting experiment? I would say it was both. To declare that I was making my mark would have been thinking too far ahead. I adored the work Boucq did. I remember working in television for the first time twenty-five years ago. And I recall thinking that I would love hearing the lines that I wrote for the pilot, adapted from one of my novels. And I didn’t love it at all. 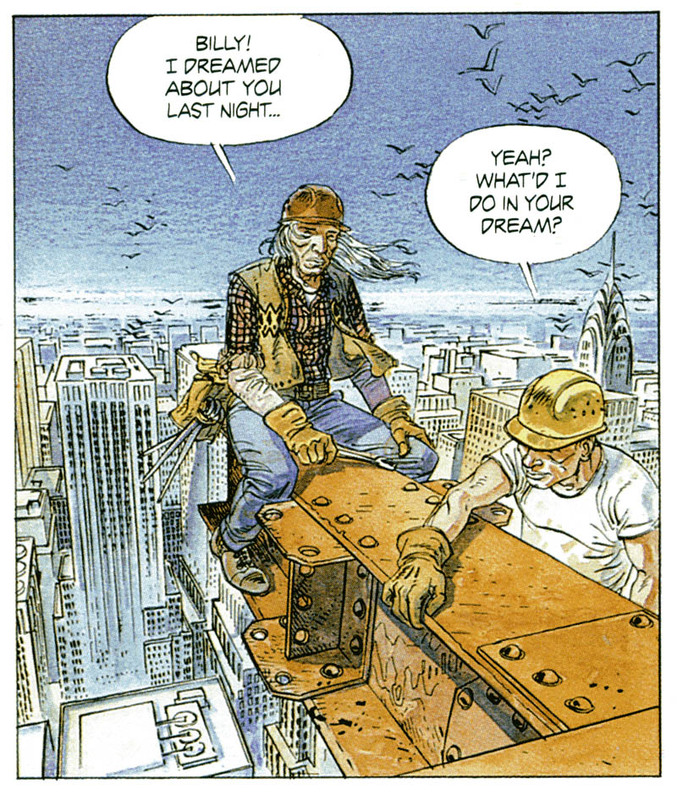 But when I saw the art that François Boucq did, I almost cried. He took a story that I wrote and interpreted it in his own way. The results felt totally personal. On television, the words each actor and actress spoke had no relation to me whatsoever. I was startled. I’d seen the rushes. I thought I would really enjoy it. It was dead to me. Do you recall what televsion show that was? I wanted to build a little more on what you’ve said about comics, that it comes in and out of reality. And you’ve talked about how one can linger upon a panel. The framework of comics is unique, is magical. Yes, it is magical. It has its own framework, like a house. It’s architecture. The panels are pieces of architecture. Also, you can move them around and shift the logic. You can possibly do that in a novel but it’s going to be difficult for the reader. You see how I do that in “Jerzy.” I shift the narrative, in a way. It seems to me, going back to Krazy Kat, you move from panel to panel and you’re in a different landscape. That, to me, was very exciting. In other words, there were no rules. You could tell the story in any way you wanted. “Once Upon a Droshky” by Jerome Charyn. Cover art by Edward Sorel. I wanted to chat with you about your first novel, “Once Upon a Droshky,” published in 1964. It has beautiful cover art by Edward Sorel. I really love that cover. I’m disappointed that I never worked with him again. I chose one of my friends to do the cover for my next book. That was a mistake since you shouldn’t mix friendship with art. Is there anything you can share with us about Edward Sorel–did you guys socialize? I think I did meet him. I do adore the cover. I don’t know why he was chosen. He was a young man at the time. It is simply a wonderful cover as it fits the book perfectly. I was delighted to learn that you had just interviewed him. Not only that, we both have the same publisher, Liveright. You guys should have coffee some time. I hope so. I would love to meet him. I always wanted to be a writer and, when you see your first book, it doesn’t seem real. I’m holding it in my hand right now and it still doesn’t seem real! You seem to have anticipated my next question. I wonder if you could give us a window into that time, at the height of the modern era. Sorel could create the Great American Illustration and you could create the Great American Novel. “Great American Novel,” no, but it was a time when serious literature thrived. Hemingway was still alive. I believe, Faulkner was still alive. Literature was at the center of the culture. It meant something to the culture. In other words, when I went to Columbia College, we spent four years just reading books. So, one did not talk about the possibility of whether or not you might become a doctor or a lawyer. That was incidental to the idea of learning a way of life. And that has remained with me. The greatest gift I ever had was spending four years studying books. We had a colloquium of ten students and two professors. In the colloquium there was a student who would go on to win a Nobel Prize, another student who became a professor of philosophy at Harvard, etc. These were all very serious guys with a murderous intellect. And literature was a kind of religion. It’s difficult for me to speak about the current generation. But I know that, at that time, literature was at the center of the culture. It meant something. It’s always been a relatively small group of serious readers. Literature used to mean more to the general public–we’ve lost that. We’ve lost a lot. There are fewer book reviews and fewer bookshops. It’s the same thing that’s happened to the movies. They’re just remakes of superhero flicks and a few small films. The small has disappeared. It’s the mega-book. It’s the mega-bomb, you know. And that’s not the kind of art that I want to do. There’s something that Marilyn Monroe said toward the end of her career, and it’s my credo. She said, “I don’t want to be rich. I want to be wonderful.” I feel the same way. I love Marilyn Monroe but she had no idea how to live her life. When she moved back to L.A., she didn’t know how to furnish her house. All she had was a bed and a lamp. It’s kind of sad but also poetic at the same time. You have an amazing formal education. But, first, you had comic books and the movies. Do those two forces strongly influence your work, the magical realism that keeps popping up? Yes. Remember, when you grow up with films, you have a visual sophistication that you don’t have in real life. I came from a very poor family. I remember going out with a girlfriend of mine. She came from a very aristocratic background. She was chastising me for not holding my knife the correct way. I seldom get angry. But I really exploded. I said that I lived all my life being told what to do and I didn’t want to be told how to eat. I didn’t have her table manners. I didn’t have her customs. I grew up like a kind of wolf. But, on the other hand, I had this visual sophistication from a very early age. Joyce Carol Oates explained it to me. I thought that maybe I’d just seen so many movies. She said that maybe my brain was wired in a special way. In other words, I can distinctly remember the back of an actor’s head I had seen in a film thirty years ago. I don’t have to see the front of his face. That crazy visualization was imprinted in my brain. There were no books in the house. It was comics and movies. That was my education. School didn’t give you much, just little things like how to spell. What can you tell us about your debut novel. What led you to choose the subject behind “Once Upon a Droshky”? My grandparents came from the Lower East Side. You have to remember, I’d never traveled. I’d never been anywhere. Even as a kid, I very rarely went into Manhattan. Even though I was sophisticated in terms of what I read, I could not, at that point, take what I read and turn it into what I wanted to write. I had to find a theme, or a group of characters that made sense to me. I remember walking around the streets where my grandparent lived on the Lower East Side. 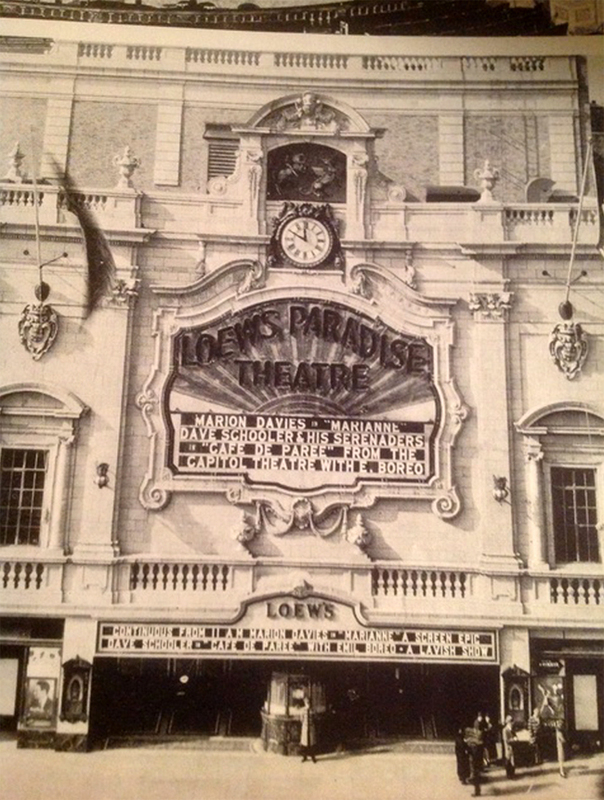 And I can still recall the Yiddish theaters—the marquees and the actors. So, in my first novel, I picked a Yiddish actor who is unemployed. And I was able to move into that world and find his voice. Voice is critical. Writing is music. There’s nothing else but the music. I certainly enjoyed reading your first novel. I would encourage everyone to grab an existing copy while you still can. 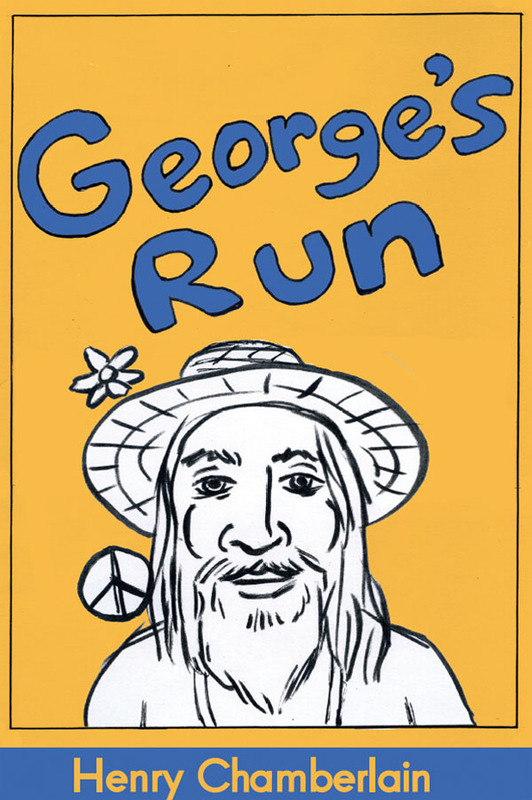 It would definitely make sense for this book to come back in a new edition. That’s when you get into issues of commerce. At some point, things will either work out or not. I’m grateful that I was able to do it. Someone will ask me about how I wrote that novel. Well, I found the music for it. And, for a long time, while I was living in Europe, I’d lost the music. I really wasn’t able to write. I was only able to write about New York. I was able to write stories about New York but I wasn’t able to be more adventurous. Language is a gift that can disappear as quickly as it can reappear. It’s almost magical. You write in a dream. It’s really a dream state. I don’t know how artists draw. I can only tell you how I write. You’re writing in a dream. Your body of work is breathtaking. When someone goes over the many titles and considers the quality of the work, it’s stunning. A recent example is “The Secret Life of Emily Dickinson.” I had not read that much of Dickinson prior to reading your book. But I have now. And your novel is quite beautiful. Thank you. I like that book a lot. I was chastised for writing in a woman’s voice. 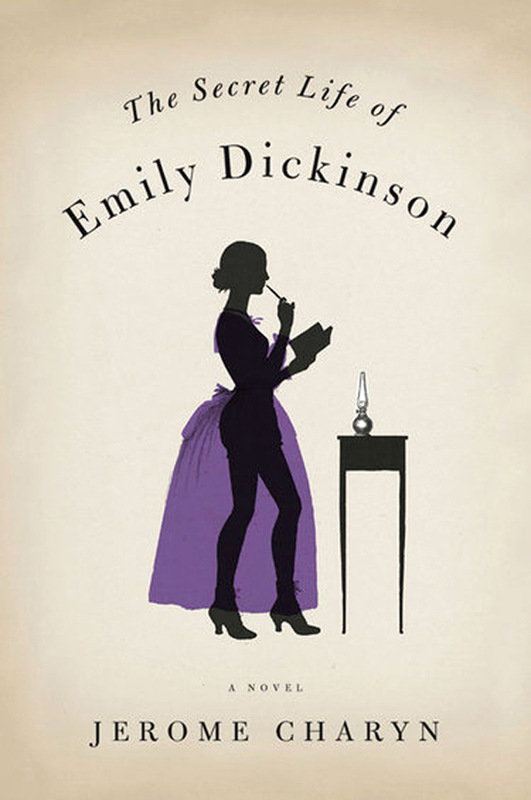 I’d rediscovered Emily Dickinson rather late. I’d never read her letters before and they are just as extraordinary as her poems. I knew I wasn’t finished with her. So, I started “A Loaded Gun.” The wondrous fact is that she never wanted to publish her work. She was like Kafka in a way. She had a secret self that was very tough. People don’t recognize her toughness. And this is what I wanted to write about. I wanted to ask you about your story collection, “Bitter Bronx.” I would recommend that as a wonderful point of entry. I love the fable-like quality to the stories. They remind me, in a way, of J.D. Salinger. I’m not a great admirer of “Catcher in the Rye.” But I love “The Nine Stories.” I read them in high school. There are three or four of those stories that can make you cry with sadness and delight. The important thing is a book that you can reread and still feel the same affection: Ernest Hemingway’s early stories, Flannery O’Connor, Grace Paley, Isaac Babel. The thing about “Bitter Bronx” is that I had to relearn the craft. My editor in France suggested that I write a collection of stories about the Bronx, and like Yankee Doodle, that became my quest. 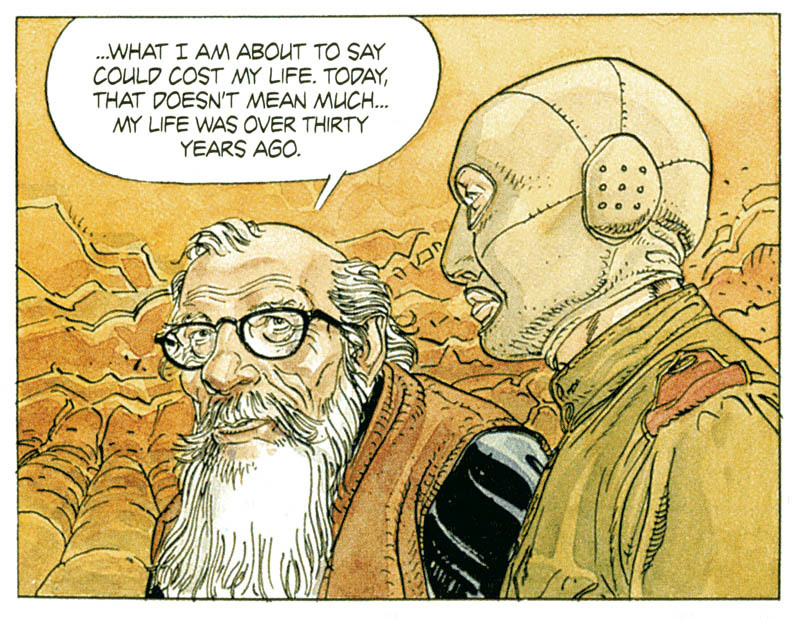 I want to call attention to the four recent graphic novel re-issues, translated in English, by Dover Publications. Readers can follow up on my previous reviews for that. I also want to call attention to FAMILY MAN, a crime noir graphic novel that will receive a deluxe reprint from IT’S ALIVE Press led by Drew Ford. We currently have a Kickstarter campaign for “Family Man.” Drew Ford has not received the recognition that he deserves. He is a shrewd editor and gets exactly what he’s looking for from a project. Andy Helfer was the editor at DC Comics. I was interested in writing a Batman story but they had other ideas. I’ll bet you could get your Batman story today. Yes, but I’m no longer interested. Jeanette Kahn, president of DC Comics, was interested in one of my novels for a comics adaptation. At the time, in the very small printed format for “Family Man” in three stingy booklets, I didn’t like the art. However, when I finally saw the original art, I loved it. The deluxe edition is faithful to all the duotone details of the original work. My quirkiest question for you: You have these leather masks that all the trainees wear in “Billy Budd, KGB.” Where did you get those masks? They just came from my head! Well, they’re very arresting visuals! Trump cartoon by François Boucq for Le Monde. The thing is that Boucq is an extraordinary artist. When he focuses in on a subject, he gets extraordinary results. These days, he also does political cartoons for Le Monde. For “Billy Budd, KGB,” Boucq made certain changes in the story. Mine was more of a straightforward spy story. Boucq added in the Native American spiritual quality. That reminds me of your Isaac Sidel stories. What can you tell us about the “Hard Apple” animated series based on your crime series? We hope to get eight half hour narratives based on the first book, “Blue Eyes.” Then continue from book to book. I’ve done what they call the bible which is a summary of the characters. And soon I will be working on the pilot. I am excited about it. I didn’t realize how lyrical one could be in that animated format. The original idea, six or seven years ago, was to do a live action series. When we moved from that to animation, that’s really my country. Then you have “Winter Warning” coming out. Yes, the twelfth book in the series. It may be the last but at least we’ve completed the series. As you know, the main character ends up becoming president of the United States. He’s a Trump-like character. In his case, he’s a Trump of the left, rather than of the right. Do you think that Donald Trump would make an interesting character to write about or are the people working for him more interesting? I really don’t know. He’s a phenomenon we never thought would have happened, coming out of reality television. The country has changed so much that now a television star can become president and there will probably be other television star presidents. Say what you will about him, but he was able to speak to the American people in a way that the other candidate could not, except maybe Bernie Sanders. Yes, everything in its time. If you shove to hard, you lose everything. You have to see it within its own sequence. If “Family Man” works, then everything else will work. Things need time to breathe. Yes. Right now, I’m working on a sequel to “Little Tulip.” I have a wonderful Belgian editor. And we’re at work on a graphic novel of Charlemagne. It’s great how you rekindled your relationship with François Boucq. That was through this editor. François Boucq had moved from Casterman to Le Lombard. And that editor, at Le Lombard, said that he grew up on “Billy Budd, KGB” and wanted us to work together again. Let’s say it was my stupidity that had led to our falling out. It was a pity since we could have done wonderful work all this time. And I look forward to the “Hard Apple” animated series. That’s being put together by Tomer and Asaf Hanuka, who created art for the animated movie “Waltz With Bashir.” They’re twins. One does covers for The New Yorker. It’s going to be a wonderful animated series. It’s a chance to do something that’s never been done before. It would be great to pick up the thread again sometime, especially leading up to the next, perhaps last, Isaac Sidel book. As you can see the discussion is endless: the relationship between comics and novels, the whole notion of graphic art, the notion of narrative in every form, we could be talking for days. Your book, “Movieland,” there’s an hour of conversation right there. Exactly. You should pick up a copy of “Metropolis,” my book on New York, when you get a chance. I really appreciate your interest. And we’ll talk again. “Winter Warning,” Book 12 in the Isaac Sidel crime novel series. Click the link below to listen to the podcast interview right here. Be sure to visit the Jerome Charyn website here. And be sure to check out the FAMILY MAN graphic novel Kickstarter campaign, running thru May 21st, right here. I have been reading a lot of work by Jerome Charyn lately. Once you start, it is hard to resist more. Charyn has this passion for seeking the truth that is very seductive. In the case of his latest novel, “Jerzy,” published this March by Bellevue Literary Press, he is compelled to better understand Jerzy Kosinski, author of the celebrated 1965 novel, “The Painted Bird.” It is a fascinating, and often funny, journey written by one of our greatest writers about the rise and fall of another great writer. Actor Peter Sellers looms large over the book that follows the making of 1979’s “Being There,” the film adaptation of Kosinski’s novel, starring Sellers as the blank slate turned celebrity, Chauncey Gardiner. In Charyn’s novel, Sellers is not much more than a lost man-child, a blank slate in his own right. Sellers hires Ian, a former bodyguard with a taste for literature, to be his all-around wingman. If there is anything Sellers needs in the way of protection or advice on dinner conversation, Ian must step in. It is not long before Sellers enlists Ian in his quest to have Kosinski agree to have Sellers star in the movie version of “Being There.” It is hardly a walk in the park as Kosinski detests Sellers. Sellers perpetually complicates matters. He is convinced that Princess Margaret fancies him and that he will marry her. And Kosinski is equally complicated. At the most random moments, something will trigger a dark mood and a longwinded rant. As is made clear, the vacuous Sellers is tailor-made for the role of Chauncey. And Kosinski has very little to complain about, despite his tremendous resistance to Sellers. 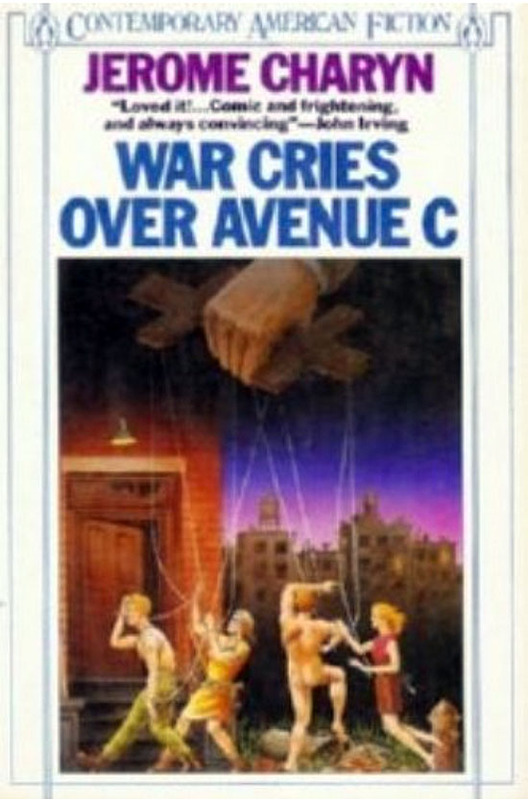 But the conflict in this novel is far more deep-seated and sinister. Charyn suggests that Sellers and Kosinski have paid too high a price for fame, have been reduced to mere shells of their former selves; and in Charyn’s hands, both become compelling tragi-comic figures. No baby-sitter from here to Mars could have scratched out the icicle-covered sentences in “The Painted Bird.” And after rereading the book for the sixth or seventh time, I realized that suicide was built into its very fabric, as if the narrator were locked into some kind of frozen grief, and had survived the war on fierce will alone. His entire life had become a chess move or chapters pasted onto “The Painted Bird.” Perhaps fate itself was a Russian doll. And Jurek’s leap into the darkness was another matryoshka, a doll without end. It was a great deal of bile and misinformation from Kosinski detractors that contributed to Kosinski’s suicide in 1991 at the age of 57. And perhaps it was also part of fate. Anyone familiar with the work of Jerome Charyn knows that he’s most interested in the underdog, the person trapped in a corner fighting to find a way out. As the novel progresses, we see how the life and times of Jerzy Kosinski, the truth and the legend, all add up to a subject worthy of Charyn’s fiction. “Jerzy” is a 240-page paperback, published by Bellevue Literary Press. For more information, and how to purchase, go right here. Yuri and Stavrogin: It is a matter of trust. In Herman Melville’s last novel, “Billy Budd,” we follow the fate of an orphan plucked from adversity and conscripted into the British Royal Navy. 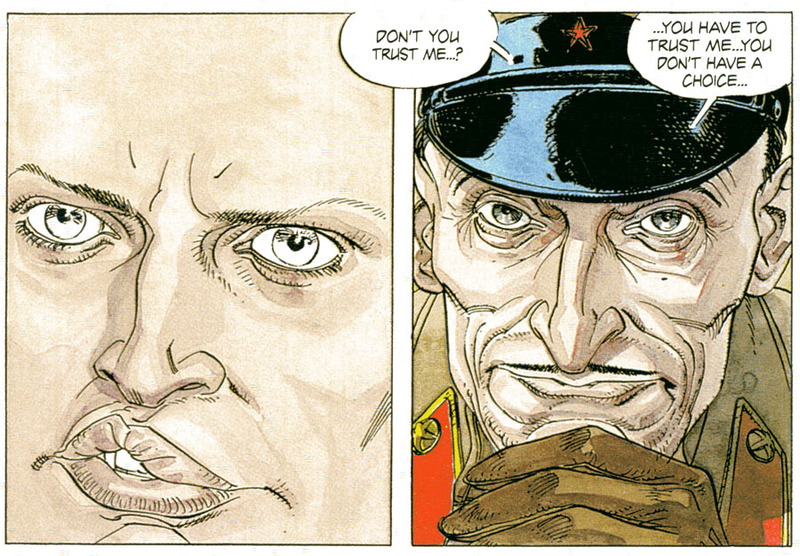 In the graphic novel by Jerome Charyn and François Boucq, the lost little orphan is carted off into the service of the Soviet Union. Like Melville’s main character, there is something special about this boy. As we find in much of Charyn’s work, we have a protagonist of limited means compelled to honor his great potential. However, as we begin, we have only an emotionally stunted, ignorant lad with a hideous harelip. It is 1954. Stalin is in power. Yuri cannot resist all that is offered to him by the Soviets. In fact, he has no choice. 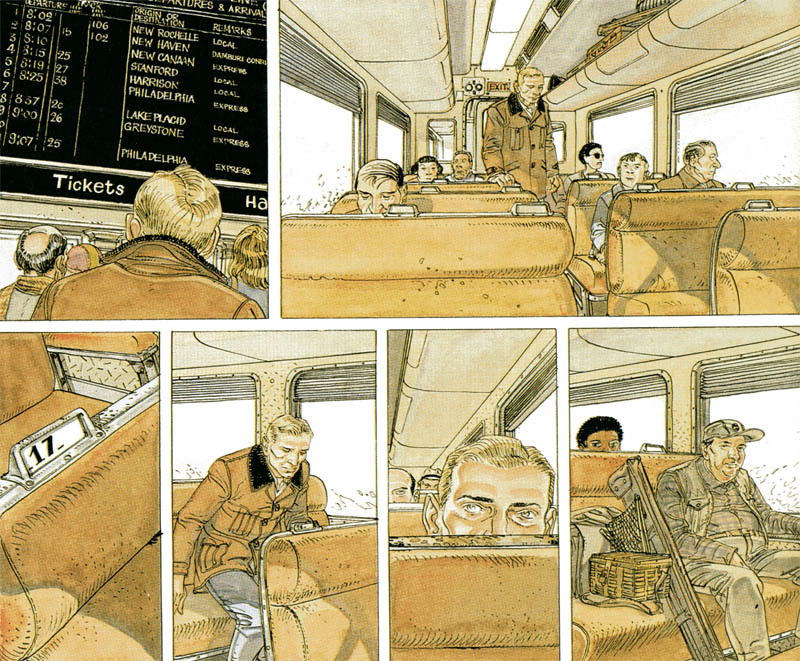 “Billy Bud, KGB,” originally released in France in 1990, has recently been re-issued, with a new English translation by Jerome Charyn, by Dover Comics and Graphic Novels. 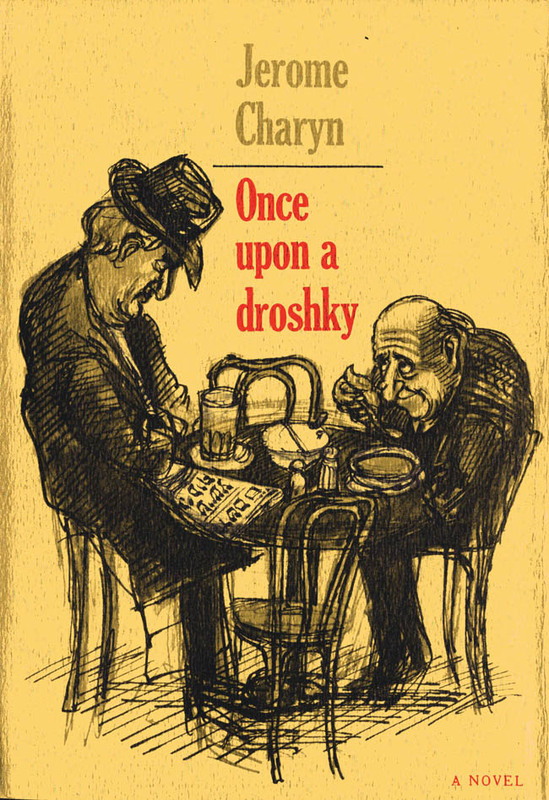 Mr. Charyn’s literary career began in America in 1964 with his first novel, “Once Upon a Droshky,” a story of underdogs fighting to remain in their tenement apartment. After 19 prose novels, including the Isaac Sidel crime noir series, Charyn decided to adapt one of his stories into a graphic novel. That led to more. It all began with 1987’s “The Magician’s Wife,” with artist François Boucq. 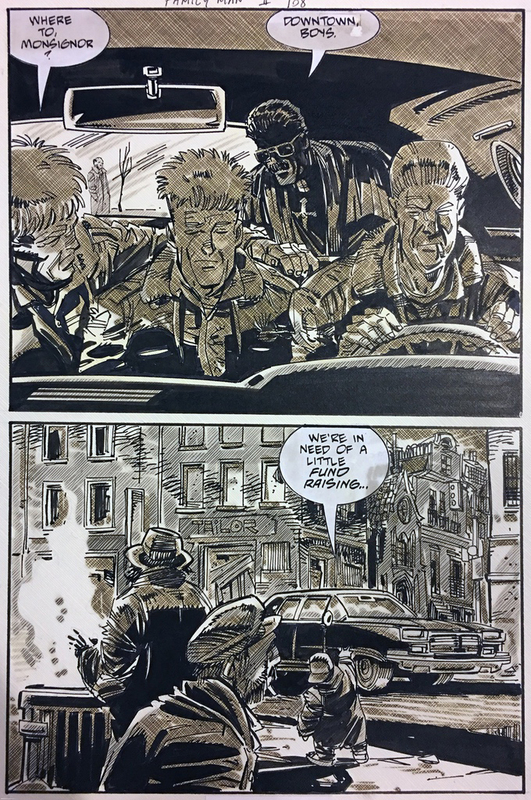 They also collaborated on 2014’s “Little Tulip.” Another graphic novel by Charyn in a similar spirit is 1991’s “The Boys of Sheriff Street,” with artist Jacques de Loustal. All four of these stories have multi-layered plots, primarily set in New York City, and filled with offbeat characters. Yuri encounters the spiritual realm. Our main character, Yuri, seems to be a typical malleable cog but something burns inside him making him go astray. He is far too innocent and ignorant to be in command of his intuitive desire to rebel. All he knows is that there must be more to life than what his Soviet handlers are telling him. Luckily, Yuri stumbles into a friendship with an instructor that will inform the rest of his life. Comrade Grigori’s unique artistic skills and broad knowledge have made him an asset over the years at the KGB training camp. But that same treasure trove of knowledge makes him very dangerous to the Soviet agenda. As a tutor, mentor, and friend, he provides Yuri with a key to unlock his soul. It’s not easy being a spy. By fits and starts, Yuri emerges as material for a competent secret agent. The KGB arranges a few encounters with prostitutes in order to, in their view, make Yuri more worldly. And then he’s shipped off to America. His new identity, a knowing nod to Melville: William “Billy” Budd, the lost soul. It will be up to the newly minted Billy in New York City to struggle with his life’s purpose. Stavrogin plucked him out of a ditch and gave him a future. Grigori opened his eyes to life’s possibilities. And Red Eagle, a Native American mystic, may offer him the salvation he’s hungered for all along. Yuri gains a deeper spiritual connection. Both Charyn and Boucq work in such a synchronized and nuanced manner that was as rare a treat then as it is now. Such pairing can only happen when the time is right. Today, readers in America and in general, are far more receptive to this level of quality. While a unique challenge, some creators choose to control all aspects of their work alone. 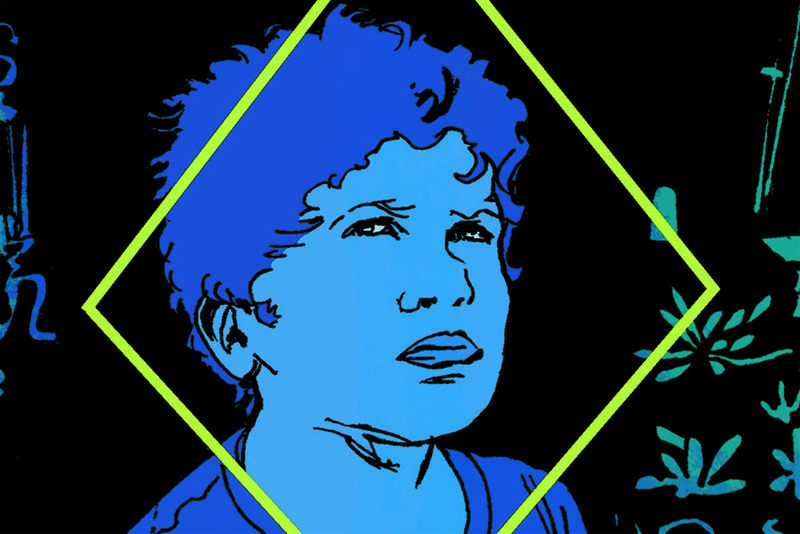 But, as this graphic novel collaboration makes clear, the results can be stunning when writer and artist work together. 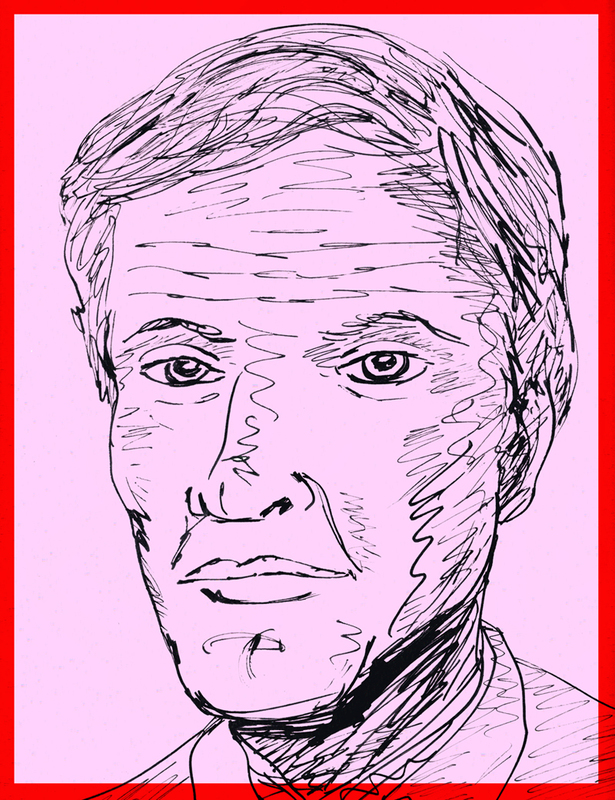 We can all thank novelist Jerome Charyn for being a true trailblazer in adding his unique literary talent to the pantheon of exemplary work in comics. This book is a mesmerizing story and comics of the first order. “Billy Bud, KGB” is a 144-page full color trade paperback. For more details, and how to purchase, visit Dover Publications right here. You can find it at Amazon right here. 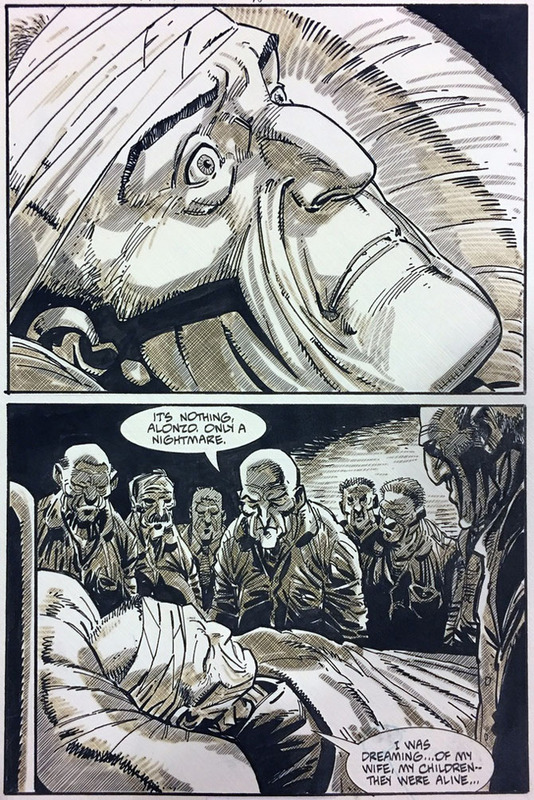 Also note a Kickstarter campaign going on now thru May 21st for a deluxe reprint of FAMILY MAN, a collaboration between Jerome Charyn and Joe Staton.